Concussion Risk and Prevention: Part I – What is a Concussion? 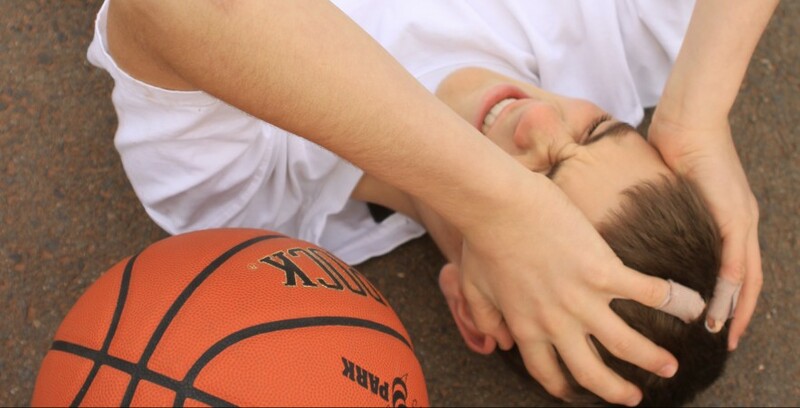 The awareness of the damaging effects of head traumas in kid’s sports (youth, high school and collegiate level included) is catching the attention of both parents and doctors across the country. Research shows the negative effects of even a slight head trauma in sports can equal that of an automobile accident, making us all rethink those bumps, blows and jolts our kids sustain playing sports. The highest offenders are football, soccer and ice hockey but all sports carry a risk of head trauma. There are plenty of advocacy groups out there (parent groups, medical groups, athletic groups) who focus their attention on 3 major areas. Diagnosis: Focus has been placed on educating coaches, trainers, parents and students on recognizing the symptoms of a concussion so they do not go unreported and the athlete receives proper recovery time. Baseline testing is an important element to this aspect, however it has yet to be implemented on a large scale. Management: Management of concussions has, to this point, been fairly passive. Standard protocols dictate to remove the athlete from play and have symptoms assessed by a professional who has been trained in concussion diagnosis and management, and the recovery process should be monitored and assessed by a health care provider who has the ability to advise on when to return to physical and cognitive activity. The standard protocol is usually essentially wait and assess. The Sport itself/”Prevention” –rules of play, rules of practice, hit trackers, equipment (even though there is little evidence that equipment, specifically helmets, can prevent concussions) etc. Head impacts are inevitable in sports, and while all of the focus areas above are important, they leave out key elements that can potentially reduce our athlete’s risk of brain injury tremendously as well as ensure rapid recovery and reduce the risk of long term damage. Baseline testing and more “active” management strategies are essential if we want to ensure our kids’ long term physical and cognitive health. Baseline Concussion Testing allows us to create a pre-season, objective baseline. This gives us information to help assess any potential red flags/risks that may exist pre-season/pre-injury as well as have a baseline average that we can use as a comparison when assessing post-injury severity and recovery rates. Sugar spikes, from sports drinks, junk food and processed food can directly weaken the blood brain barrier laying the stage for a stronger reaction post-injury and a longer recovery time. Identify the nutritional risk factors pre-season and post-injury to prevent injury and speed recovery. Chiropractic care, specifically upper cervical care, helps ensure proper spinal alignment and bio-mechanics, enabling your spine and head’s shock absorbing mechanisms to dissipate any forces of impact more effectively, resulting in less damage directly following a head injury. An athlete with a healthy spine and nervous system is much more likely to bounce back from injuries and head trauma quickly, with little to no loss in play time and a much lower chance of lasting damage. At Clear Chiropractic, our chiropractors receive extensive training, not only in identifying possible concussions, but in helping patients speed the recovery process and safeguard against long term damage. If you or a loved one plays sports and are concerned about past injuries or interested in baseline testing contact a Clear Chiropractic Office for more information!